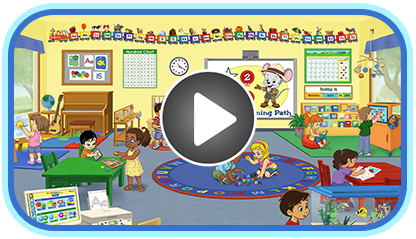 ABCmouse.com’s preschool art curriculum teaches children to name and identify the primary and secondary colors (red, yellow, blue, green, orange, purple) as well as to recognize them in their day-to-day lives. Our online preschool art curriculum includes many opportunities for children to create their own visual art pieces using the site’s multifeatured drawing and painting program of more than a thousand printables. Where Do the Rainbows Go?